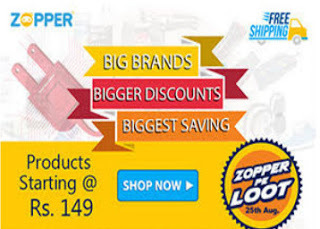 Zopper is having the biggest sale across a wide range of electronic products. You can avail upto 70% discount on all products with starting price as low as Rs. 149. The sale will be on 25th August and will be live for 12 hours (from 12:00 PM on 25th Aug. till midnight). Get great discounts on over 13 categories including Power Banks, Kitchen appliances, Grooming products, Headphones, Speakers etc. Save the date and keep your phones charged to get the best out of this sale.